On Friday, I brewed my 2nd annual lambic-style beer. 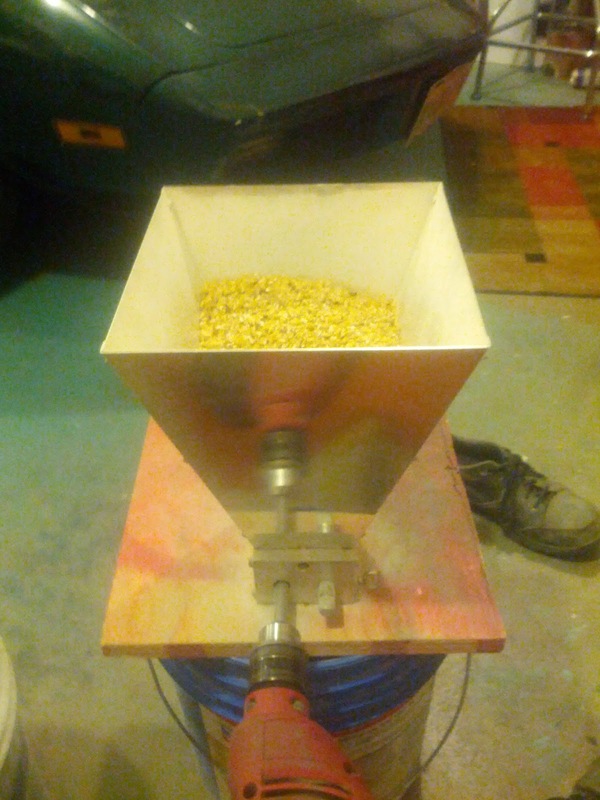 I milled the grains, and mashed in to reach a single infusion temperature of 155*F.
10 minutes after mashing in, I drew off 2 litres of starchy, turbid wort and brought it to a boil. For those that don't know, the traditional production of lambic is done with a turbid mash where a starchy, unconverted part of the liquid is taken off early in the mash, and brought to a boil. This ensures that there's some complex carbohydrates left for the bacteria to munch on for the year long fermentation to follow. Traditionally, this is done with a step mash, but I didn't want to spend the time on that, as I see no benefit from it. 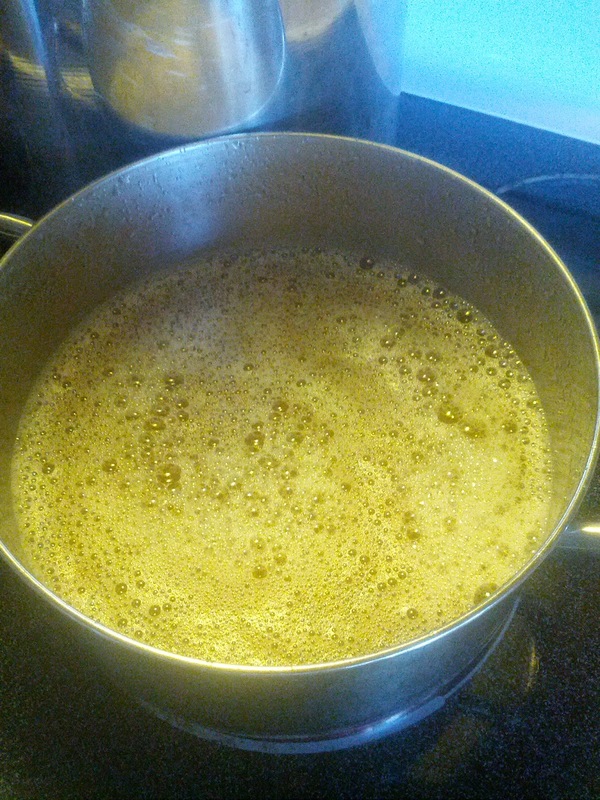 After the mash was done, I took a gallon of the first runnings, and boiled it down to caramelize it. 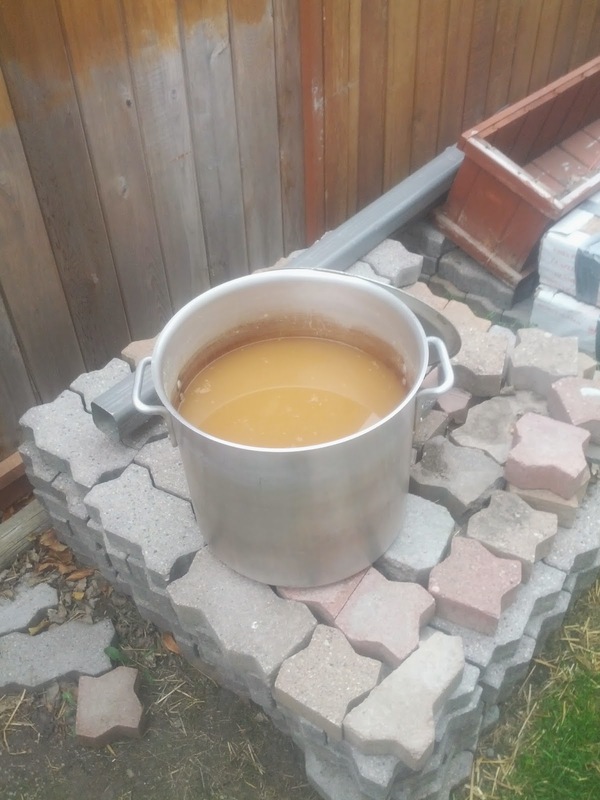 This is typically done in Scottish ales to give caramel flavors, and I am doing it here to simulate the hours long boil that was typical of traditional lambic. This will give the bacteria and Brettanomyces some extra long sugar foods, and will save me money on propane! When the boil was finished, I added the caramelized wort to the boil kettle, and set the kettle at the side of the house overnight where the temperature dropped to nearly 0*C overnight. Lambics are typically brewed in the spring and fall, because the wild microbes in the air shift their balance from lactic acid bacteria to wild yeasts when the temperature drops. The colder air also ensures that the beer will cool faster, and won't stay in that body temperature range where lactic acid bacteria thrive. 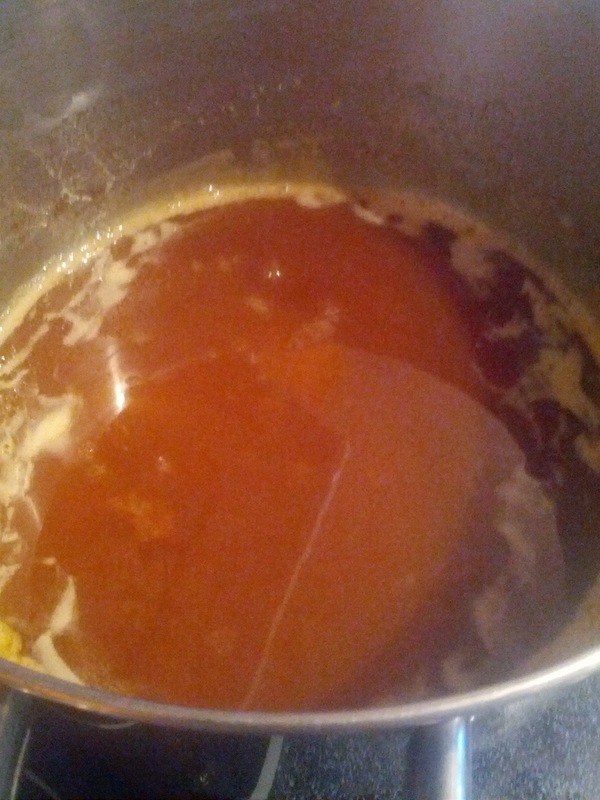 Even after sitting all night, the wort looks nice and turbid. Nice! 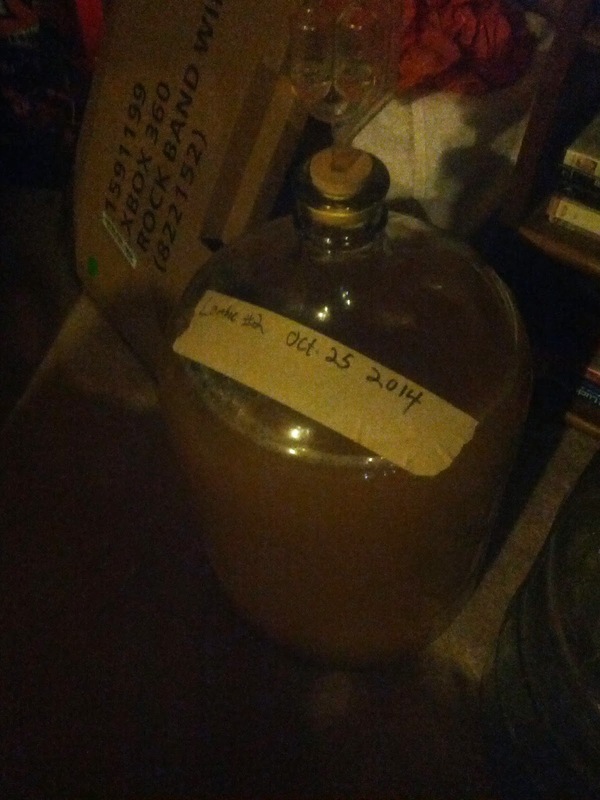 Edit: (Nov. 22, 2014) The primary fermentation threw off a ton of sulfur aromas, much more than the non-spontaneous oude bruin I had just brewed.